Getting married is a whirlwind of emotions, planning and choosing colour schemes from small books. Once your partner has popped the question, you can start to plan you perfect ceremony and how you both want to say ‘I Do’. If you are both into travel, then a huge part of your big day will be how you arrive. Where you decide to travel to say your vows, and how you want to arrive at the ceremony can be a way to show off your personality and love for wandering. It could also mean you have a mode of transport ready for your honeymoon too. It could also be something to tick off your ultimate travel bucket list. If you want to really feel like a celebrity on your wedding day, an amazing way to do it is to fly in one a private jet. Particularly if you decide to have your wedding abroad on the beach, flying in and landing in front of your friends and family is a once in a lifetime opportunity and will make you feel like the most special person in the world. Learn More about this online and you can see how to hire a private jet for the day for the big day. Want to feel like the ultimate princess on your wedding day? 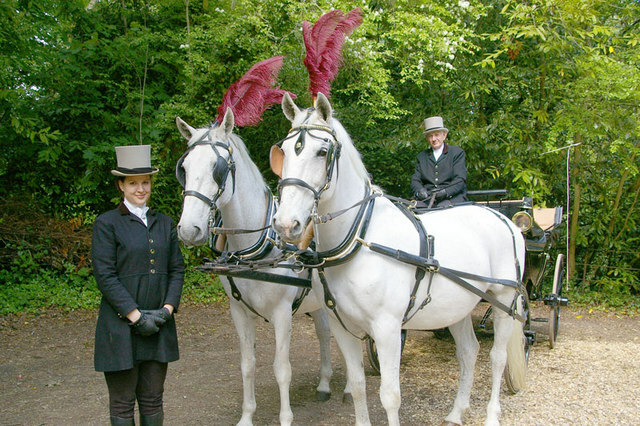 You can let out your inner Cinderella and magic up a beautiful horse and carriage for the big day. Not only will you get up close and personal with some beautiful horses, but you’ll certainly make a statement as you arrive at the venue. If you plan on spending your wedding day and honeymoon in the beautiful country of Thailand, then why not rent out a Thai taxi to take you to your big day? Tuk Tuks are cute, authentic and will be the perfect accompaniment to your tropical wedding. If you’ve ever seen an episode of Don’t Tell The Bride, you may have also witnessed the moment when a groom arranged for his bride to skydive to the ceremony rather than walk down the aisle. A scary experience for some, but if you have a hint of the adrenaline junkie in you, you can really make an entrance. Failing that, a ride in a helicopter won’t ruin your hair and dress. If you frequently travel to parts of Asia and decide to take your wedding procession there to celebrate your union, then you may be thinking of hiring out an elephant to carry you down the aisle on the big day. Elephants are beautiful creatures, and will make a huge impression on your guests on the day, you’ll also get some killer wedding photos out of it! If you have that travel bug and can’t sit still for too long, maybe the best way to spend your wedding is in a far-off land. You and your other half can already be there as part of your tour of the world, and can arrange for your family to meet you the night before.